This year the fourth and final Sunday of Advent also happens to be Christmas Eve day. Gathered around the theme of Peace, they begin to tell the story of the birth of Jesus, focusing upon Mary and Elizabeth. 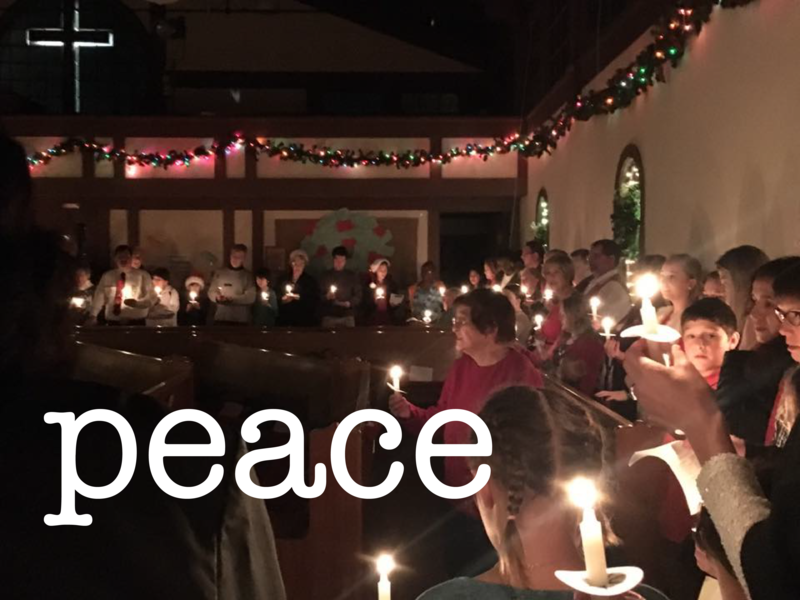 They offer visions and definitions of what peace looks like – the peace promised in and through the Messiah, desired by God and proclaimed by the angels to the shepherds in the fields that night. Peace is the presence of God, established, residing, present among us. It’s a great reversal: the callous rich are thrown down from their easy chairs while the poor that they’ve pushed down into the muck are pulled out of the mud and stood up straight, treated with respect, recognized as fully human. Peace is a revelation, a fullness, newly known which reveals who we truly are, how the world is, and how God loves and lives among us. As you reflect on Peace this day, how have you glimpsed and/or tasted such messianic peace in this Advent season? When? Where? How? Spend some time in prayer, speaking with the Holy One about the peace we need in our world, nation, state, and city today.